A regular eye test can help detect eye conditions like long or short sightedness and eye disease before you notice the effect on your sight. Early treatment can often prevent your sight from getting worse. The information here explains what is normally included in an eye test for adults (children may need different tests). An optician who checks your eyes is also called an optometrist. Adults are recommended to have an eye test at least once every 2 years, while for children under 16, it is recommended every 12 months. An eye test normally takes about 45 minutes but we often allow a 60 minute appointment if you are a new patient to us, ensuring that you never feel rushed and we get better results in a more relaxed, pressure free environment. 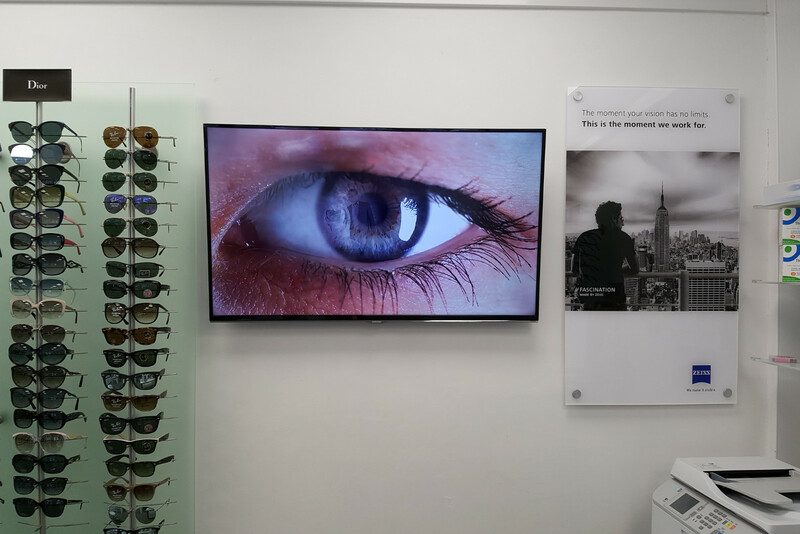 Andrew Willetts Opticians are unique in their approach to allowing this amount of time for appointments, but we feel it allows us to provide you with the optimum levels of eyecare and professional advice. One of the main purposes of an eye examination is to measure the focussing of the eyes (refraction) and correct any focussing problems if needed. Andrew Willetts Opticians are proud to be the first opticians practice in Sefton to bring advanced OCT scanning technology into the community. 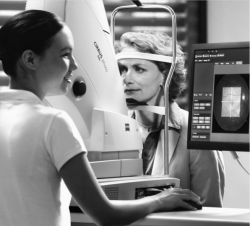 What does an OCT Eye Health scan do? An OCT scanner uses the latest technology to scan the deeper layers of the eye and give detailed information to help discover eye problems at an earlier stage and monitor progression of eye diseases like macular degeneration and glaucoma with a greater degree of accuracy. Who will benefit from having an OCT Eye Health scan? Anyone can have an OCT scan, but it is recommended for people over 40 or for those who have a history of eye disease themselves or in the family. Having an OCT scan as part of a comprehensive eye examination will help to make sure that your eye health is kept in check by picking up any changes at the earliest possible opportunity. No. The scan itself only takes a few minutes. This can all be done at the same time as your normal eye examination, or a separate appointment can be made for the scan. How much does an OCT Eye Health scan cost? For private patients the scan is now included in the cost of a full eye examination. For NHS patients the cost for the scan is £30.